If you have lots of MMS on your iPhone, you may find that the attachmets like pictures in the early MMS can't be fully loaded. It will be difficult to view them on your iPhone, even save them to your computer. When this happens to you, don't forget to back up your iPhone with iTunes first, though the iTunes backup file is unreadable and you can't take anything out of it. Anyway, it's a way to protect your data. Then find a way to save photos from MMS on your iPhone. There are two ways for you to save MMS pictures from your iPhone, if you use Wondershare Dr.Fone for iOS (Windows) or Wondershare Dr.Fone (Mac), which fully allows you to save photos from MMS on your iPhone 5, iPhone 4S, iPhone 4 or iPhone 3GS. 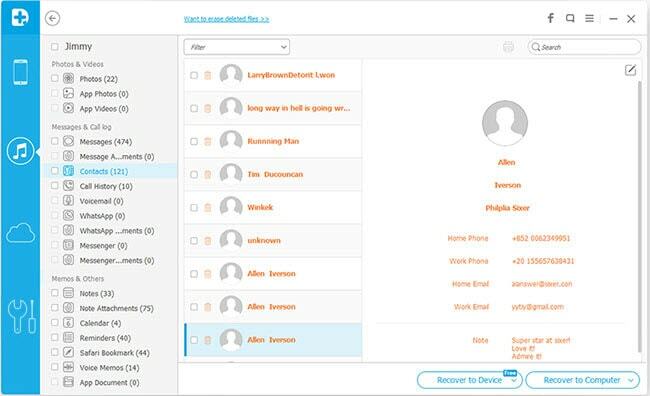 Besides MMS, Wondershare Dr.Fone lets you save messages, contacts, notes, camera roll and so forth from your iPhone to the computer. No matter you use choose the Windows version or the Mac version of Wondershare Dr.Fone, the ways to save MMS pictures from iPhone are similar. Below, let's try the Windows version together. Install the program after downloading it, and then launch it on your computer. The primary window will show as follows. Note: It will be a little different here if you use the version for iPhone 5/4S. There will be only a Start Scan button on the main window. 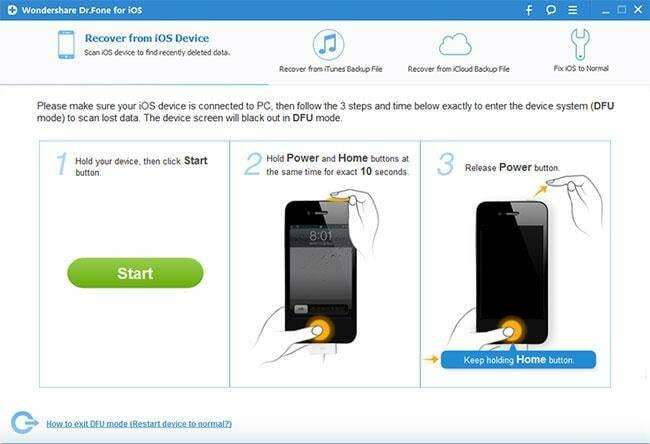 For iPhone 4/3GS: Download a plug-in first. 2. Hold the Power and the Home buttons on your iPhone at the same time for exactly 10 seconds. After doing it, the program will begin scanning your iPhone as follows. When the scan ends, you'll see a scan report on the window below. Here, all data found on your iPhone are classified well. For MMS, you can click Messages to preview the detailed contents. For only pictures from the MMS, you can choose Message Attachments. Then choose what you want and save them on your computer by clicking Recover. Note: In this way, the program also finds recently deleted MMS, including the attachments. If you want to separate them, you can use the button on the top: Only display the deleted items. If you choose this way, it relies on iTunes. 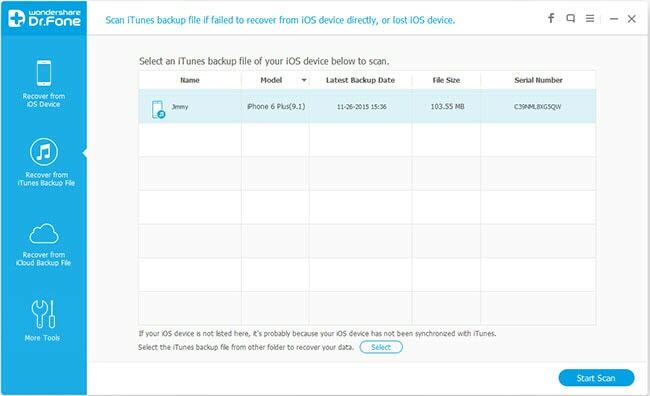 You need to sync your iPhone with iTunes to make an iTunes backup on your computer. 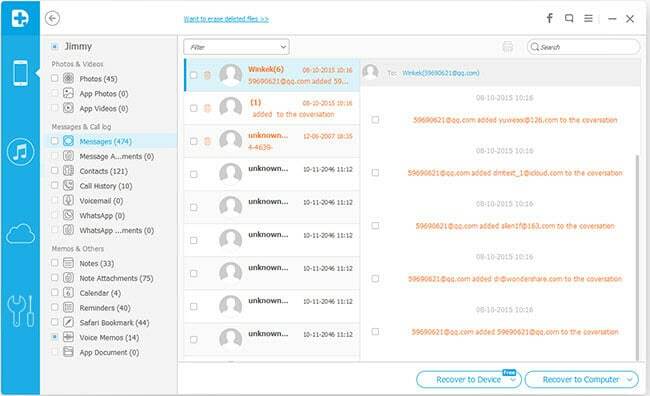 The backup can't be viewed, but you can view and use the content in it after extracting it. After launching the Wondershare Dr.Fone software, you must have noticed that there are two options on the top of the window. That's right. This time, let's try the other one: Recover from iTunes Backup File". When you switch to the other option, the program will automatically find all iTunes backup files on your computer and display them as follows. Choose the one for your iPhone and click "Start Scan" to extract it. When the scan is over, you'll get a scan report as follows. Actually, it's the same as the last step in the Part 1 above. 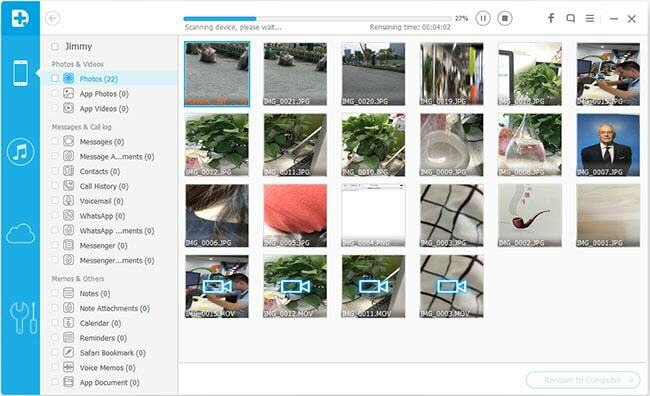 You can preview all your MMS contents here by clicking Messages on the left side of the window. Only preview photos from MMS, you can choose Message Attachments. Mark those you want and click Recover to save them on your computer.